Digital trackers are a handy high-tech way to find your keys, your gym bag or anything else that is easily misplaced. However, most of them have a big limitation: they track using Bluetooth, which has a maximum range of about 200 feet from your smartphone. Though that's usually more than enough to find your missing car keys, you can't use these trackers to find a pet that's gotten out of the fence or find out where your child is waiting for you to pick them up after soccer practice. 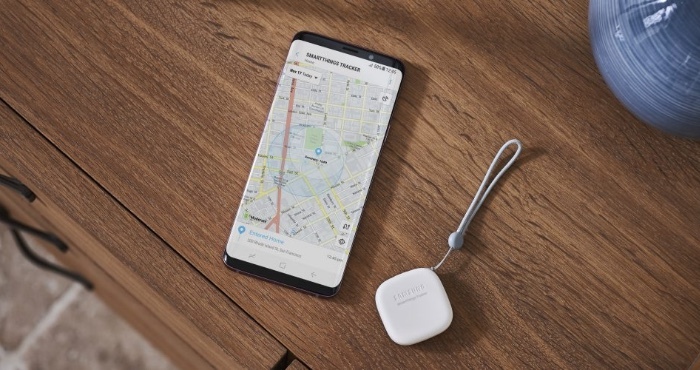 Samsung's new SmartThings Tracker fixes that problem by using LTE instead of Bluetooth, giving it the same kind of connection to the world that your smartphone has. That gives these trackers nationwide coverage, but at the cost of battery life. Even though the SmartThings tracker uses low-energy LTE-M, it still only has about five days of battery life, so you'll need to charge it regularly. Bluetooth devices like Tile can last for a year on a single battery. But we think it's a worthwhile trade-off: remembering to plug the Tracker in once a week is worth the convenience of being able to find it anywhere. The Tracker itself is a compact square that's small and light enough to attach to a backpack, keyring or pet's collar without being noticeable. When you want to find the Tracker, just fire up the SmartThings app (for Android and iOS) to see its current location — or whoever has the Tracker can tap its power button twice to send an alert with their location to connected smartphones. You can also set up a geofence that alerts you when a Tracker leaves a set area, which is perfect for making sure kids and pets don't wander off. It's also IP68 water-resistant, so it can stand up to a 30-minute dunk in up to 5' of water — plenty for a child who's dropped it into the pool or a pet who's run off in a thunderstorm. And because it's a SmartThings device, it integrates with everything smart home gadget in the SmartThings ecosystem. That means that if you approach your home with the Tracker it can automatically turn on the lights or turn down the thermostat. That makes it the ideal tracker for anyone with a SmartThings powered smart home. The SmartThings Tracker is available now for $99.99 on Samsung (can check the price on Amazon). One year of connectivity through AT&T is included with the price, but after that, it will cost $5 per month or $50 per year to stay connected to the LTE network. Though that may sound pricey, it could be well worth it for the peace of mind.